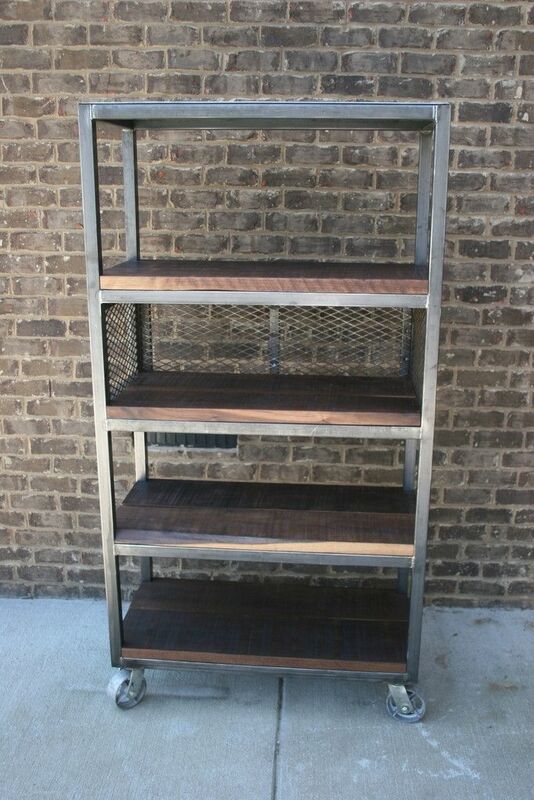 Add this Grid Iron series shelf to your Grid Iron collection. This shelf is built to withstand anything you put on it. 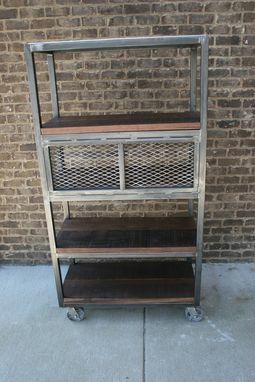 Looks great in the kitchen, garage, man cave (can be custom made to be TV cabinet), bedroom, or have a complete Grid Iron office. 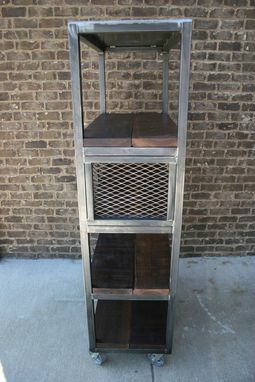 Solid steel 1 1/2" tubing with 1/4" steel top shelf and your choice of wood. As Shown: Walnut 2" (custom choice). 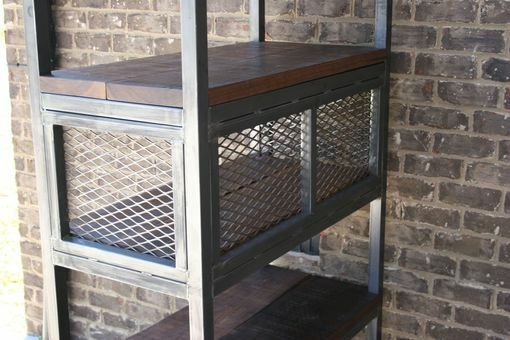 With the added mobility of the 5" cast iron casters you will be able to showcase your collectibles with style. 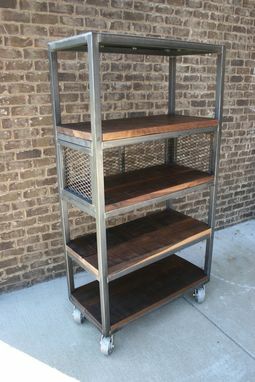 Note: 72"H has 5 shelves and the 96"H has 6 shelves.